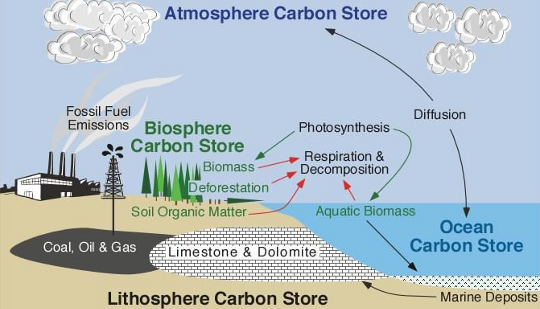 An introduction to the Earth's atmosphere and the greenhouse effect, and the role of the carbon cycle in determining the amount of greenhouse gases in the atmosphere. Take a tour of the operations of the Greenhouse Gas Reference Network, and learn about the why, where and how behind the measurements of greenhouse gases. Describes the study of isotopes of carbon dioxide and the process of measuring isotopic ratios. Users learn about both stable and radiocarbon isotopes of carbon dioxide in atmospheric science. The What’s in the Air video is a 13 minute look at the atmospheric monitoring efforts being put forth by NOAA’s Carbon Cycle Greenhouse Gases group, and their partners across the globe. Activities designed to facilitate as well as enhance teacher instruction on a variety of topics related to Earth Science and Climate Change. Frequently asked questions about climate change, greenhouse gases, ozone depletion and air quality.